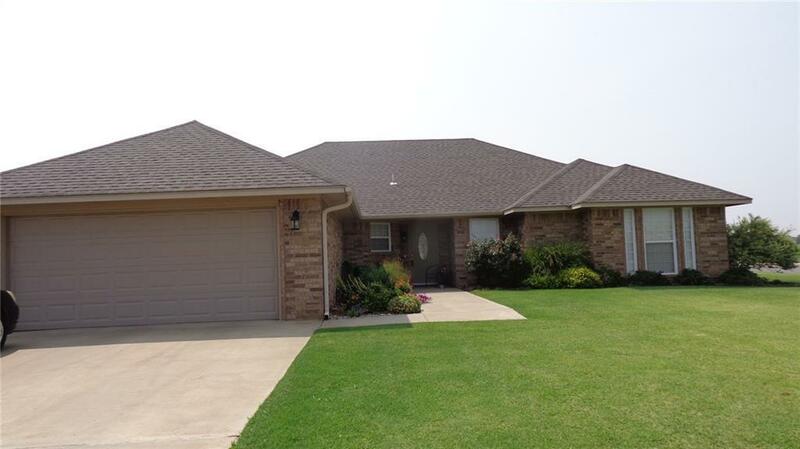 1700 White Tail Drive Altus, OK. | MLS# 833327 | CENTURY 21 Altus Prestige Realty, Inc.
Beautiful 4 bedroom 2 bath home Located close to AAFB. Stainless appliances all stay with the home. LRG Fenced yard Sitting on a corner lot. Nice Yard and grass with landscaping. The sprinkler system will keep it looking nice and lush. Large living room with gas log fireplace. Wood finished cabinets in the kitchen. Beautiful tiled backsplash with solid counter tops. The kitchen has a corner sink and window that looks out into the front yard. Split bedroom plan with the master bedroom and bathroom on one side of the home and the other 3 bedrooms on the other side of the home. The front load washer and dryer stay with the home as do all blinds covering the windows. All bedrooms have walk in closets. and ceiling fans. The master bath has a jetted Tub and 2 sinks. The home faces the East. There are pull down stairs in the garage for storage access above the garage. The Home is Priced well. Come see for yourself. Call and make an appointment.